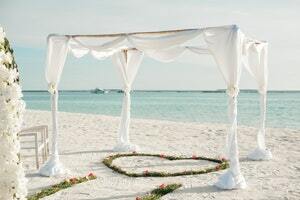 The Italy islands are one of the most popular places for wedding services. You can enjoy the beauty of nature, admire the seascapes and enjoy the famous gastronomic cuisine. A wedding on the island will be remembered for a lifetime. This will be a unique celebration, which is not so often to be found in the environment. Just imagine, you are standing on the shores of the azure sea, around the rock and your feelings hold together not only the rings but also a light sea breeze. Do you want the same fairy tale? So, you should trust organization our wedding agency in Italy. We undertake to create for you an unforgettable celebration, filled with romance and love. The atmosphere of the old cobbled streets, green vineyards and the most beautiful landscapes of the mountains will bring your feelings up. If you want the most mysterious moment to be remembered for a lifetime, then you should not miss the chance to make so it. To entrust the important points of organizing your wedding to professionals and we will do the magic for you. Capri has been considered a small oasis of luxury and exclusive for many years. On its coast stretch beaches of unusual blue. The island is immersed in luxurious gardens, full of luxurious villas, expensive yachts and cars. Amazing views, majestic cliffs, the emerald sea are amazing all couples with their elegance. Sardinia is an amazing place where modern architecture intertwines with ancient buildings. Here you are waiting for sandy beaches and clear emerald sea. In one of the most beautiful hotels or villas you can spend the most unforgettable and happy days of living together. There are delicious cuisine and fine wines, many historical monuments and medieval heritage. Sicily is a large island with sandy beaches, which is washed by three seas. Here you will play a wedding between Europe and Africa. Sicily connects many cultures, thanks to which the celebration can be made truly original and unique. It is characterized by magnificent nature: around the mountain, clear blue sea, green gardens, mild climate and the most delicious culinary products. Our team will make your wedding unforgettable. Fill out a questionnaire on our website with all the directions so that the organization fully meets your requirements. You yourself can set the most convenient for your level of organization of the Italian celebration - medium, high or VIP and see the price of each additional service in the price list section. The specific cost is negotiated individually in consultation with the main coordinator. We will select the best option for you to get the most vivid emotions, make the moment unusual, memorable and touching.